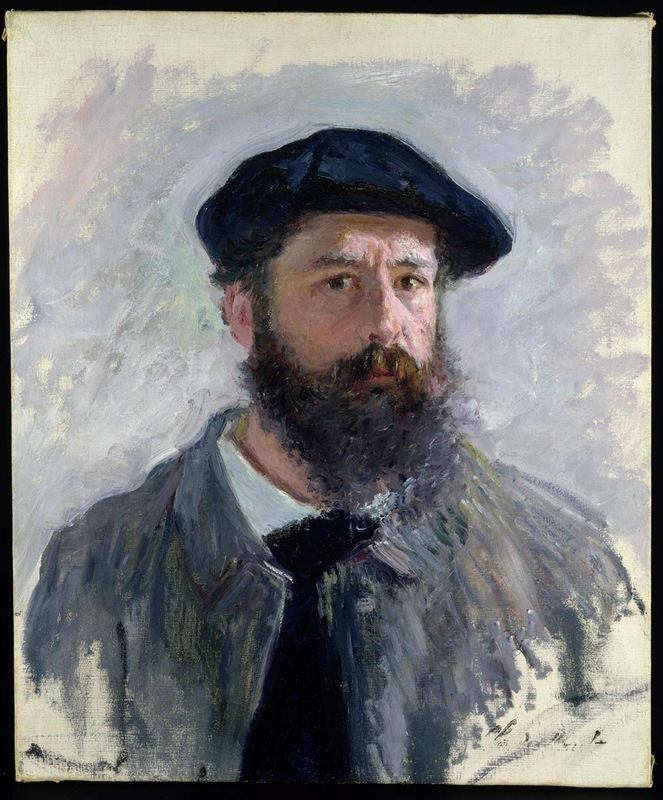 A Brief History of Claude Monet | Jorge Sette "Linguagem"
← Monet’s Fun Quiz: How much do You Know about the Artist? The quintessential Impressionist, Claude Monet was born in Paris in 1840 but grew up on a beach town in Normandy, Le Havre. His father was a grocer and his mother was a singer. From an early age he was bored with regular school and spent more time drawing sketches on the blue pages on his notebooks than dedicating himself to his lessons. These sketches were caricatures of teachers and famous people, and he was able to sell them easily for a fair price. In 1858, Monet met the seascape painter Eugène Boudin, who would have a huge influence on Monet’s style of painting. Monet began to appreciate nature and wish to paint the effects of light and shadows on water, trees, and flowers. He learned that the ideal way of painting was in the “open air”. He decided to move to Paris and join the Académie Suisse in 1859. The atmosphere of the Académie was very relaxed, the hours were flexible, and the painters were free to develop their own experiments. Later, Monet joined the studio of Charles Gleyre, where he made friends with the artists Bazille, Renoir and Sisley. The most important achievement for an artist in those days was to have his paintings accepted and shown at the famous Salón, an official annual exhibition in Paris, sponsored by the government. Despite the fact that Monet had some works accepted there, he soon realized that the kind of painting he was interested in would never be popular in that traditional environment. The paintings in the Salón were usually idealized works, representing historical or mythological subjects. They were usually perfectly finished with extra coats of paint added to them. Monet, however, had realized very early on that what he enjoyed painting was the real world: landscapes, seascapes and contemporary Paris, applying vibrant colors, representing the way light was reflected on trees, grass, water, flowers and regular people. He was one of the first painters to paint outdoors from the start to the end of a painting. He thought it was essential to capture real light and the way it changed along the day and in different seasons of the year. In 1874, his group of friends, who also had difficulty having their artworks accepted by the Salón, decided to have an exhibition dedicated to their own works. Of course, it was hard to compete with the Salón, and their exhibition only attracted a fraction of the public who would go to the traditional event, but that was a start, anyway. Their alternative exhibition was repeated every year for the next eight years. 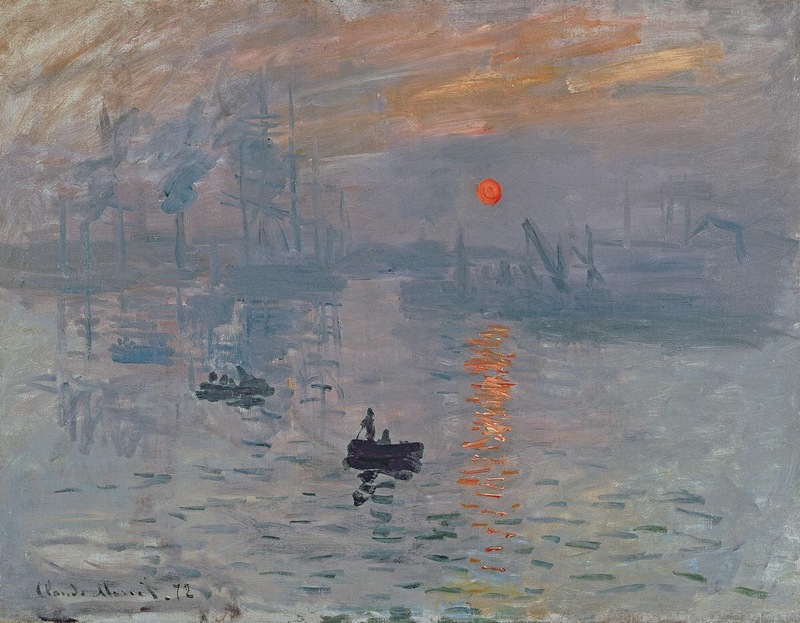 In 1874 exhibition, Monet presented a painting called Impression: Sunrise (see image below). All we saw in it was a solitary boat on the sea in Le Havre with a red sunset reflecting on the water, painted in fast, diffused brushstrokes. An art critic, Louis Leroy, from the magazine Charivari, mocking the title and the style of the picture, wrote that the artists that painted like Monet were mere impressionists. His paintings looked more like sketches rather than finished works of art. Despite the derogatory use of the word, Monet and his friends boldly appropriated the name and started to use it officially to define their revolutionary new style. Impressionism had been born. Claude Monet had financial problems for most of the first part of his life, but he started to make real money after he turned forty. By then, Impressionism had already become a recognized and important artistic style, admired and sought after by many art dealers. He married twice. He had two sons by his first wife Camille, and 6 stepchildren from his second wife, Alice. He spent forty years living in a beautiful house with his whole family, painting views from his wonderful garden and artificial pond, carefully put together by himself with the help of 6 gardeners. This house was in Giverny and can still be visited by tourists today. When he moved to Giverny in 1883, Monet started to paint what is usually known as the series paintings: he would paint the same subject on many canvas at a time, working on each one according to the right time of the day, giving continuation to each of them on the following day. So, as the light changed, he moved to the next painting matching the right time of the day, in a sequence. 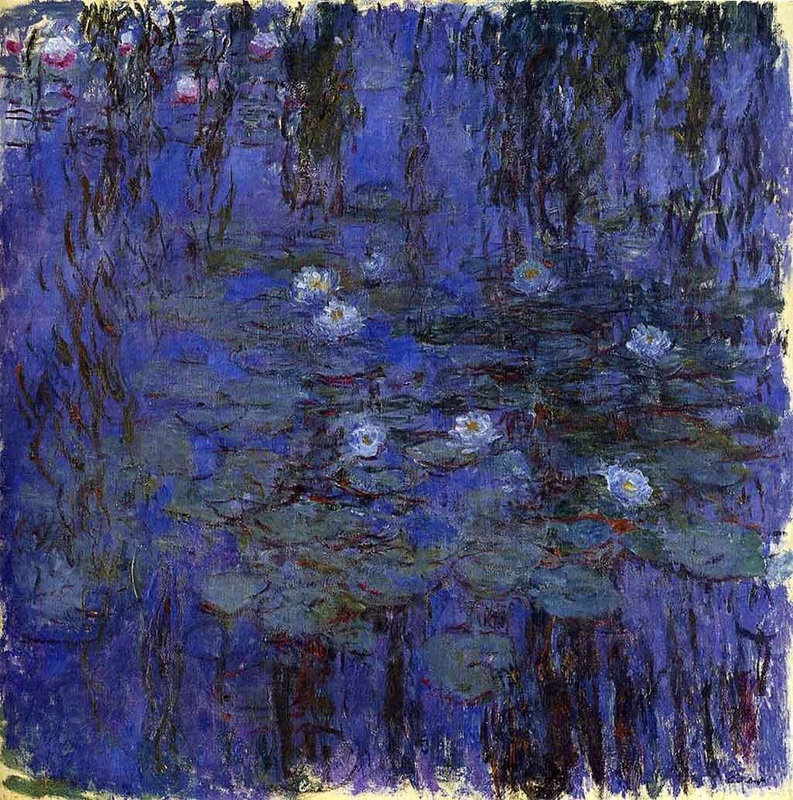 He started with haystacks, and then moved on to poplar trees, the Rouen Cathedral and, finally, the famous water lilies. He has more than 200 paintings on lilies, including the huge curved panels kept at the Musée de l’Orangerie, near the Louvre. It is important to say that, although Monet was the official founder of Impressionism, he had been strongly influenced by the works of Manet and Courbet, who came before him, and, at a later stage, by the works of Turner and Constable, which he was able to get to know when he lived in London with his family, during the Franco-Prussian war. The group of Impressionists consisted of many artists, such as Renoir, Bazille, Sisley, Degas, Cézanne and others, who strengthened the movement with their powerful contributions. Cézanne was the one who took the movement forward, showing the way to the future, heavily influencing iconic artists such as Matisse and Picasso. A chain smoker, Monet died of lung cancer in 1926, having worked hard on his paintings and his garden to the very end. Claude Monet is one of most famous and loved artists in history, and his paintings sell for millions of dollars today. This entry was tagged art, claude monet, courbet, ebooks, english, france, giverny, impressionism, manet, monet, normandy, paris, renoir, sisley, teaching english. Bookmark the permalink.